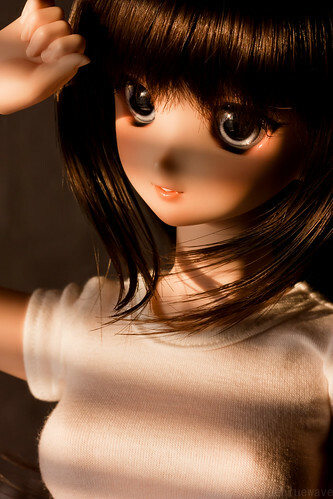 Still had to share these photos of Dollfie Dream Atsuko, taken late on an afternoon in spring with the setting sun shining through the window blinds, casting a lovely, warm light contrasted by deep shadows. Such natural light works really well with Atsuko’s normal skin type and dark brown wig, much more so compared to Tsukiko‘s white skin type which is harder to balance in warm color temperature lighting. Really smitten on Atsuko’s lovely customized DDH06 head, especially that unique smile and lip sculpt. Wonder how she would look when paired up with Tsukiko or Shizuko, seems a duo or trio theme is an interesting idea to work on for a future shoot. 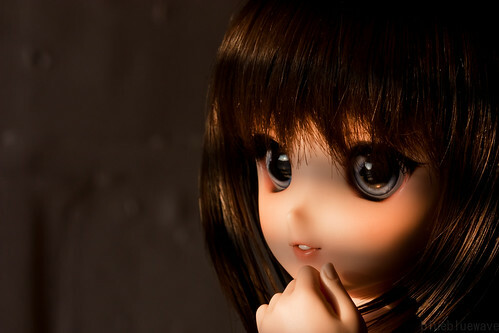 Instead of the usual Canon 50mm f/1.4 lens, which I quite adore for Dollfie Dream portrait style photography, used the Canon 100mm f/2.8 lens this time as I wanted to get in closer to the subject. Due its longer minimal focus distance, tighter shots are harder to achieve with the 50mm lens. In contrast, being a macro lens, the 100mm allows you to get much closer to the subject and still enables you to have plenty of bokeh. 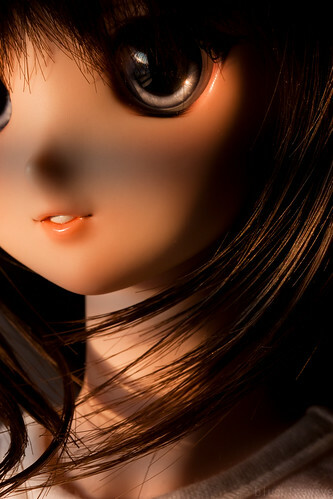 When looking through the various Dollfie Dream photo sets made so far, seem to have a penchant for close-up, portrait and tighter framed shots, often a result of the limited working space am bound to. Will try a set with a wider angle, longer working distance sometime. Processed the Raw files with Adobe Lightroom but did not apply any particular presets or filters on this series, only performed basic tweaking for a bit of additional punch. 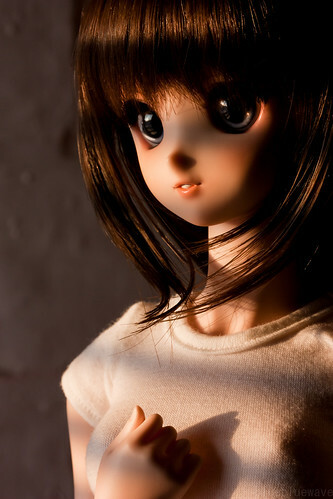 Hope you enjoyed these photos, you can see more of Dollfie Dream photography on my Flickr photostream. Sunset shots are always great. 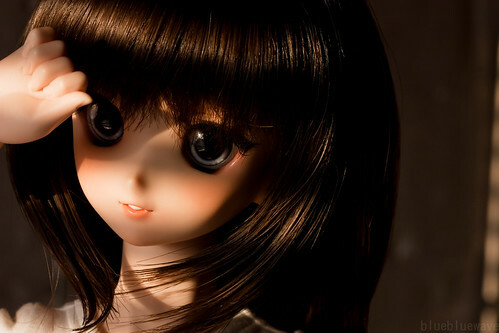 I love the soft, warm light it gives like in these photos ^^. By the way, what type of eyes is Atsuko using here? Must admit I am unsure about their brand/model as they are eyes that were included with her DDH06 head parcel as I got it from Chachakulan on Yahoo! Japan auction. I love seeing photos of Atsuko. She’s so gorgeous! I like the way how the sunet light beams onto the face of Atsuko while slits of shadows from the blinds cast on at the same time, yet the latter does not ruin the composition but adds interesting contrasts. On the other hand, DDH06 does look like a very flexible head; all the make-ups I see so far are amazing so far! Yes the DDH06 seems like a very versatile heads, I’ve seem some terrific custom versions.